Bottleneck Gallery is racing to release two awesome new DC Comics super hero screen prints later today of Superman and The Flash from artist Doaly! Check out Doaly’s fantastic new DC Comics diptych featuring The Fastest Man Alive facing off against the Man of Steel. 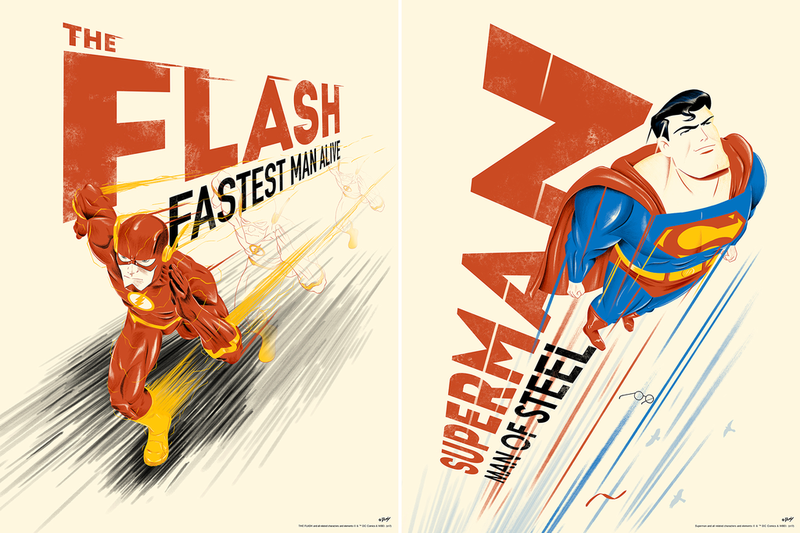 It’s the Speedforce versus sheer force in Doaly’s dynamic duo of posters. The Flash and Superman by Doaly are each 18”x24” hand numbered screen prints. Sold only as a set, which is limited to 150 pieces, this DC Comics diptych will go on sale at 12pm EST today, Friday, February 2nd, at the Bottleneck Gallery online store for $75.